This question is hard to answer. Nevertheless . 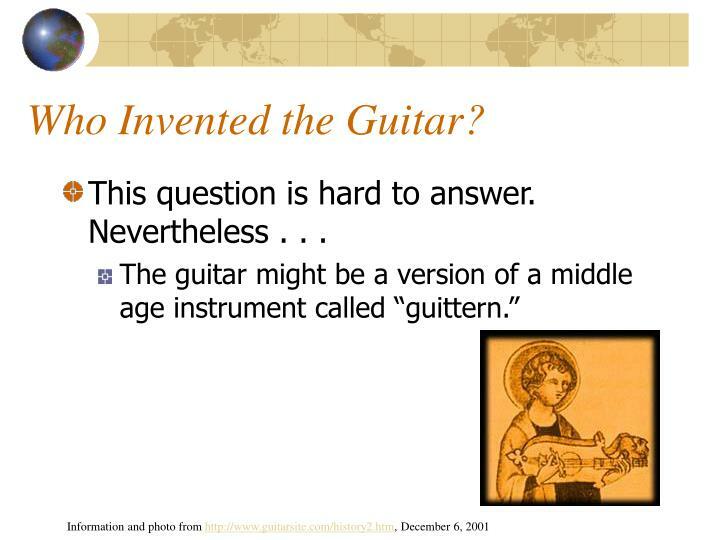 . .
Another concept is that the guitar was invented around 7 BC. 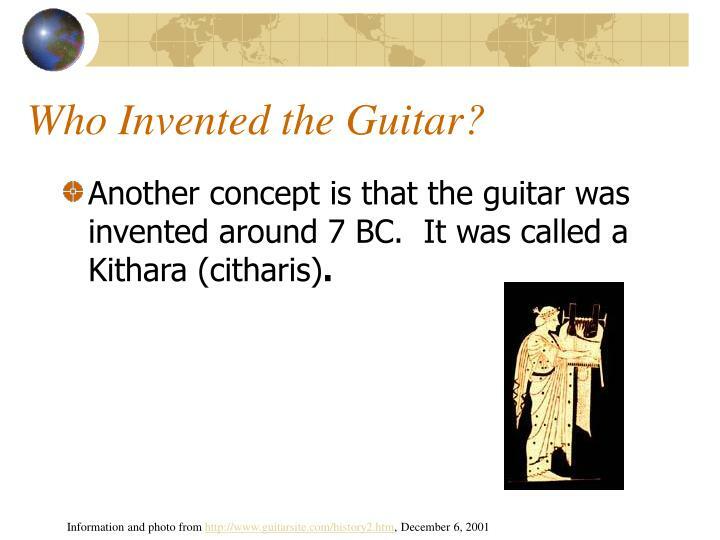 It was called a Kithara (citharis). 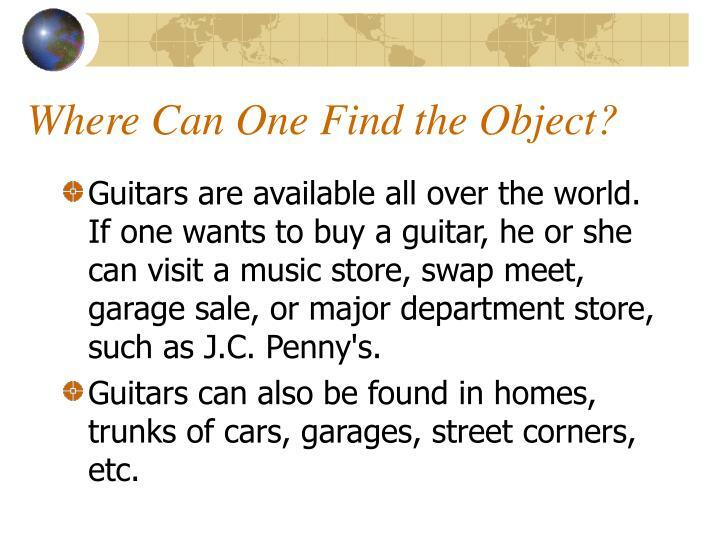 Where Can One Find the Object? Guitars are available all over the world. 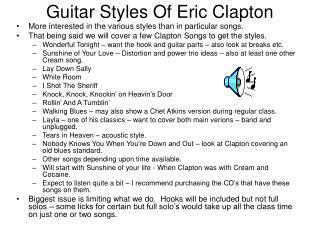 If one wants to buy a guitar, he or she can visit a music store, swap meet, garage sale, or major department store, such as J.C. Penny's. 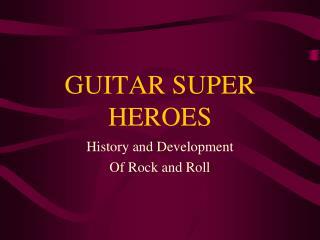 Guitars can also be found in homes, trunks of cars, garages, street corners, etc. 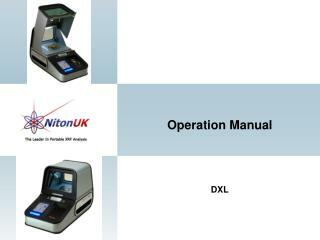 When Does the Object Get Used? 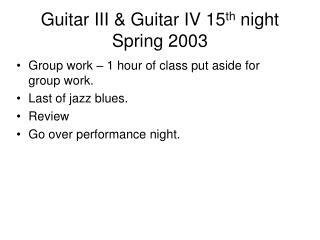 People use guitars daily for practice purposes, for concert performance, for recording sessions, for decorative needs, etc. 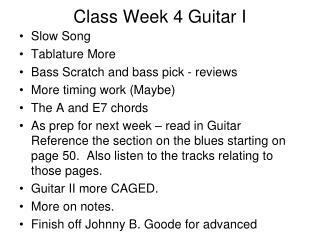 Photo from http://www.howstuffworks.com/guitar.htm, December 6, 2001. 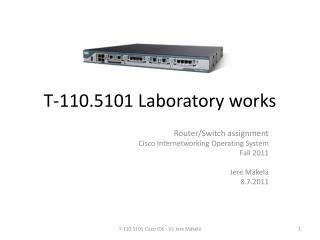 What Use Is the Object? 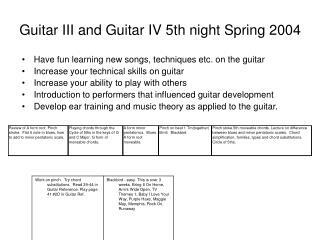 A guitar is used to make musicwhich can be therapeutic, especially if the music is relaxing. 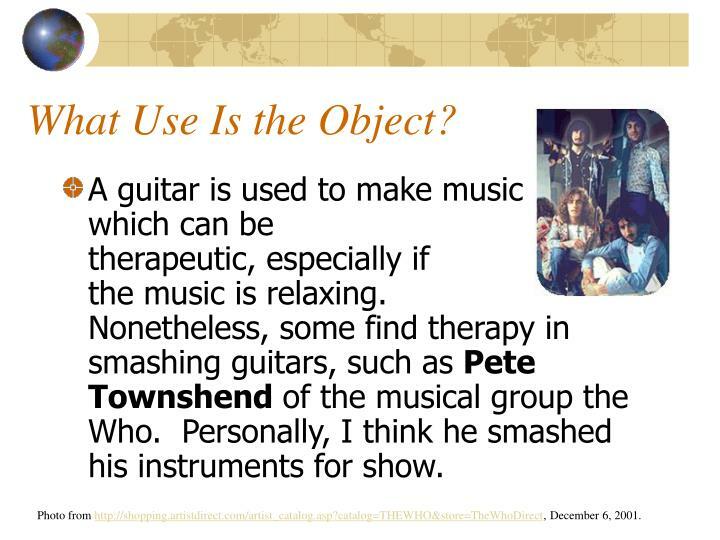 Nonetheless, some find therapy in smashing guitars, such as Pete Townshend of the musical group the Who. Personally, I think he smashed his instruments for show. Photo from http://shopping.artistdirect.com/artist_catalog.asp?catalog=THEWHO&store=TheWhoDirect, December 6, 2001. 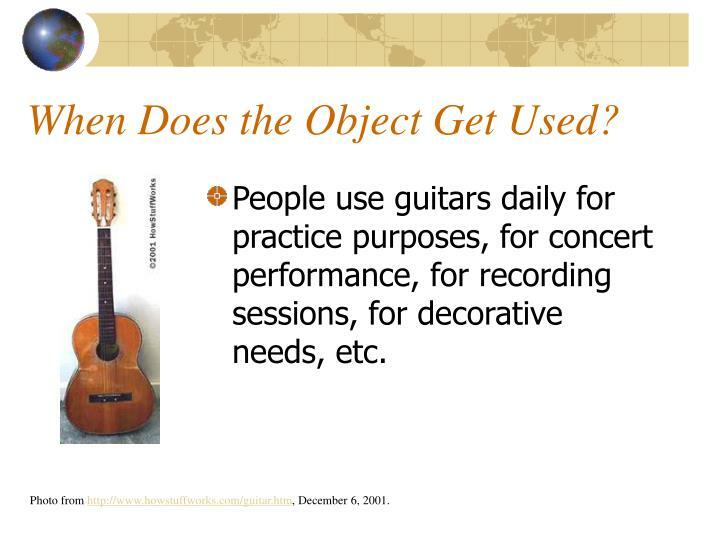 Why Would One Use the Object? 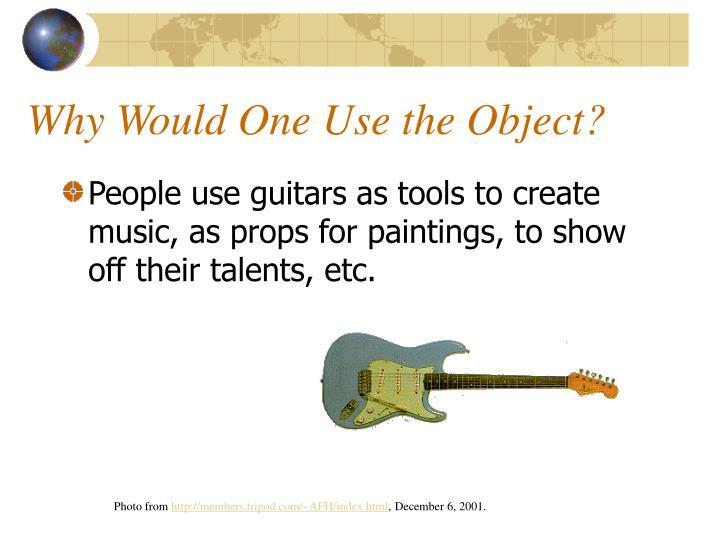 People use guitars as tools to create music, as props for paintings, to show off their talents, etc. 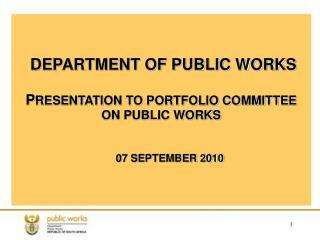 Photo from http://members.tripod.com/~AFH/index.html, December 6, 2001. 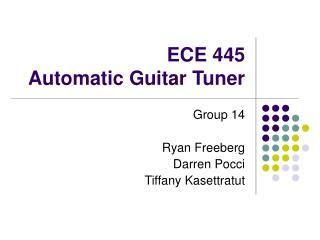 How Does a Guitar Work. 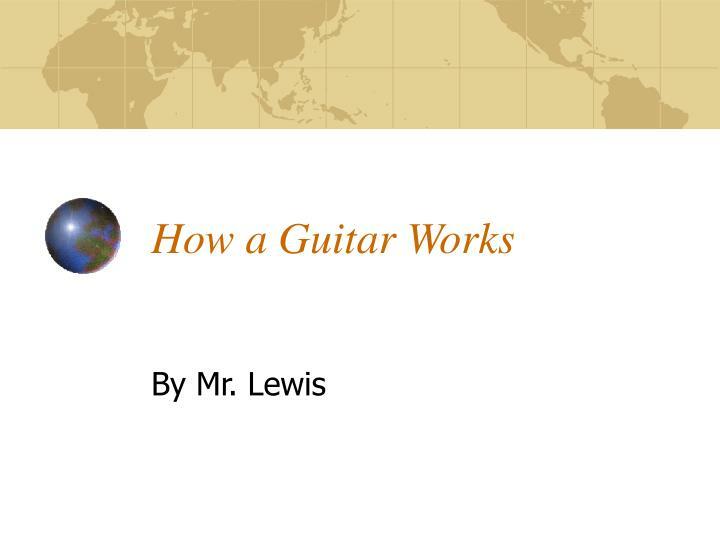 This presentation will focus on the acoustic guitar. 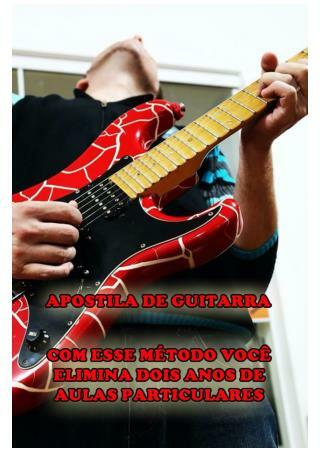 Thus, electric guitars will not be reported. 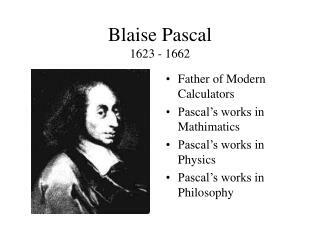 Nonetheless, to understand how either of the two work, one needs to understand the principals of sound waves. 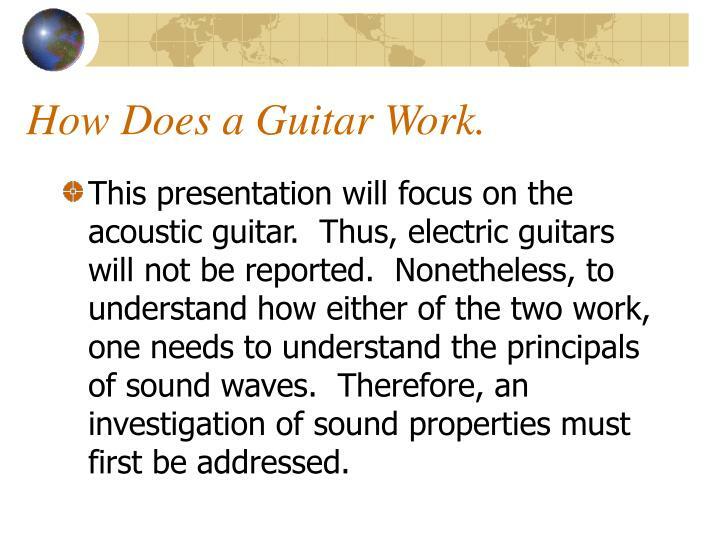 Therefore, an investigation of sound properties must first be addressed. 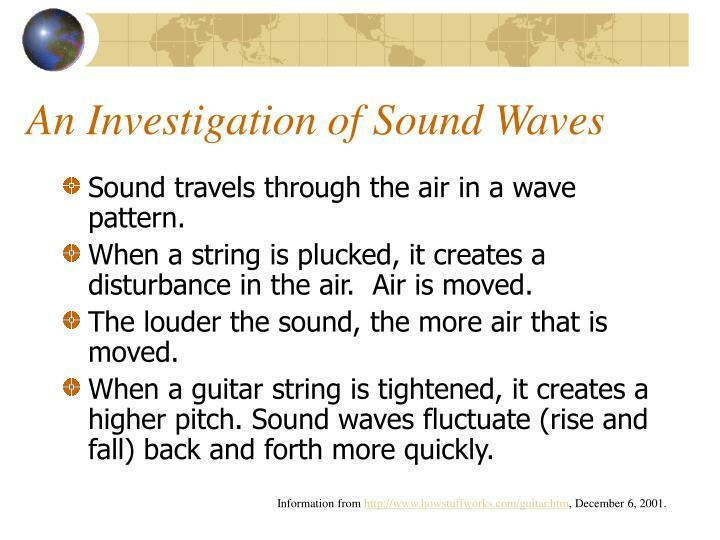 Sound travels through the air in a wave pattern. 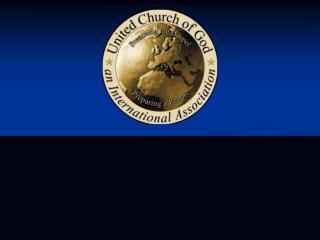 When a string is plucked, it creates a disturbance in the air. Air is moved. The louder the sound, the more air that is moved. 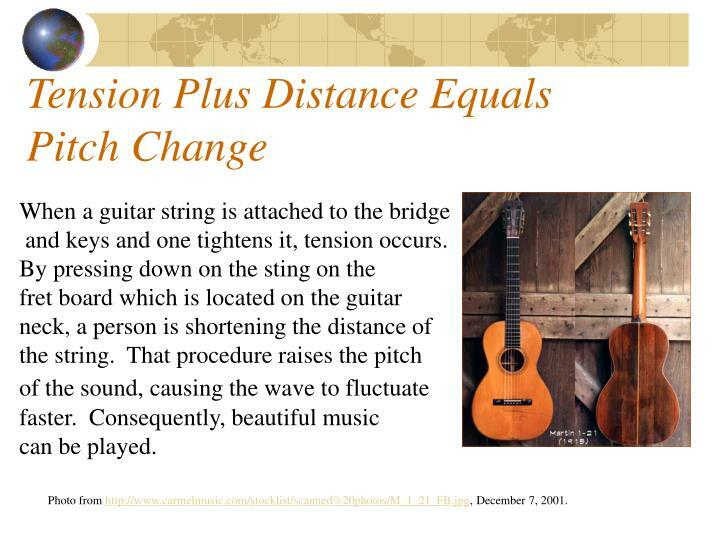 When a guitar string is tightened, it creates a higher pitch. 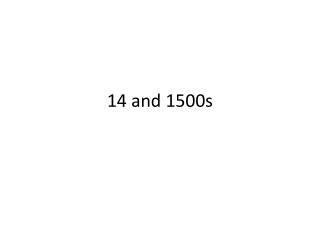 Sound waves fluctuate (rise and fall) back and forth more quickly. 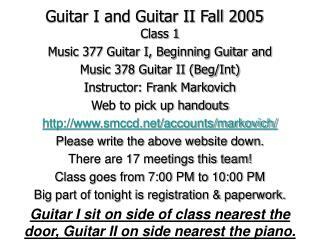 Information from http://www.howstuffworks.com/guitar.htm, December 6, 2001. 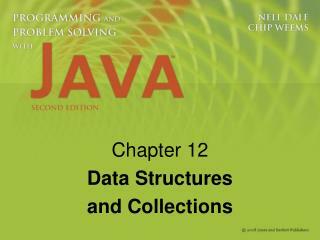 When a string is loose, the fluctuation switches back and forth more slowly. 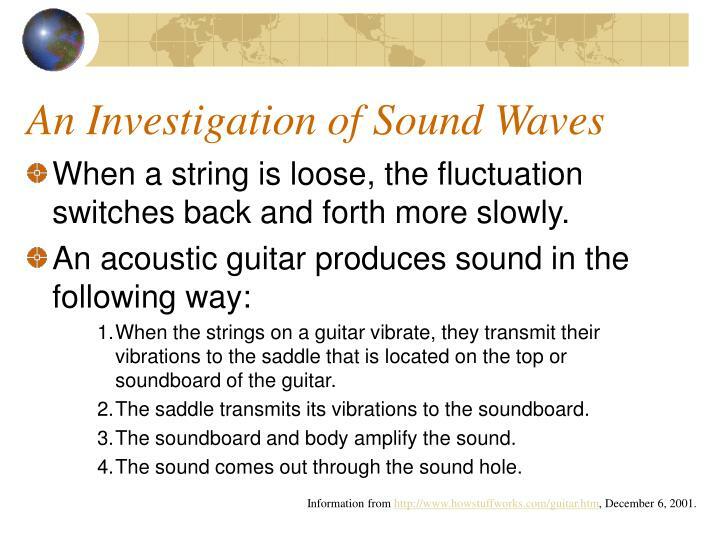 When the strings on a guitar vibrate, they transmit their vibrations to the saddle that is located on the top or soundboard of the guitar. The saddle transmits its vibrations to the soundboard. The soundboard and body amplify the sound. The sound comes out through the sound hole. located at the head (see photo below). 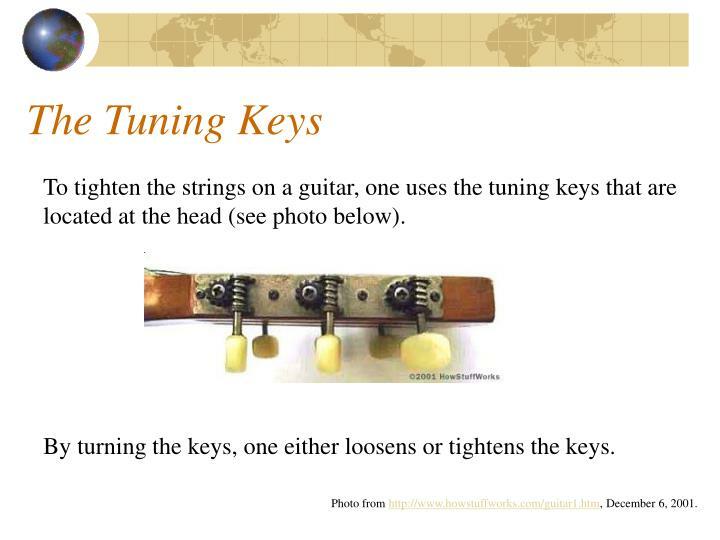 By turning the keys, one either loosens or tightens the keys. 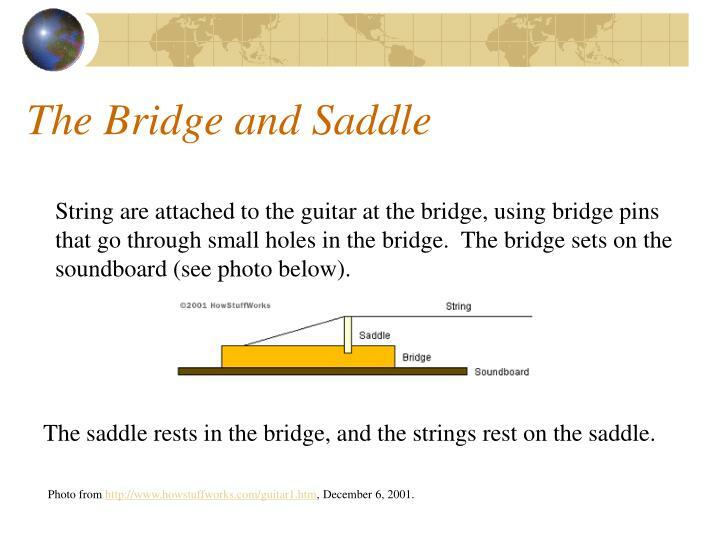 Photo from http://www.howstuffworks.com/guitar1.htm, December 6, 2001.
that go through small holes in the bridge. The bridge sets on the soundboard (see photo below). 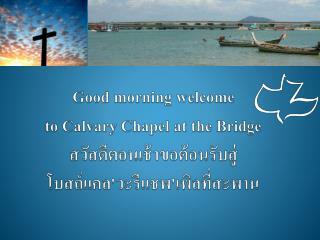 The saddle rests in the bridge, and the strings rest on the saddle. faster. Consequently, beautiful music can be played. Photo from http://www.carmelmusic.com/stocklist/scanned%20photos/M_1_21_FB.jpg, December 7, 2001. 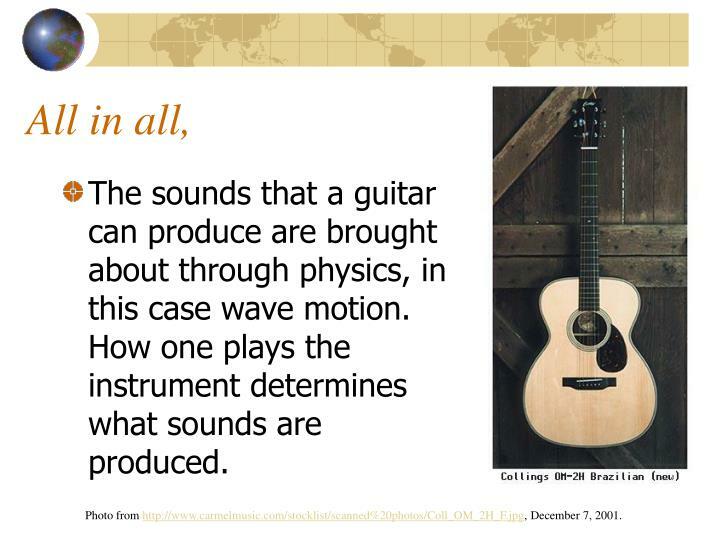 The sounds that a guitar can produce are brought about through physics, in this case wave motion. 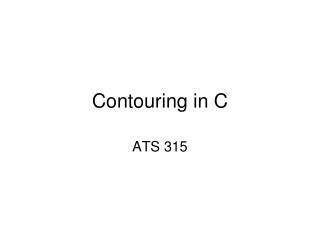 How one plays the instrument determines what sounds are produced. Photo from http://www.carmelmusic.com/stocklist/scanned%20photos/Coll_OM_2H_F.jpg, December 7, 2001. 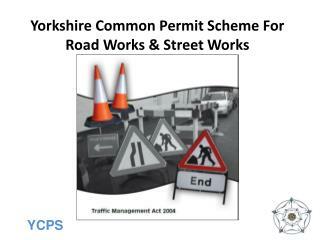 Yorkshire Common Permit Scheme For Road Works & Street Works -Yorkshire common permit scheme for road works &amp; street works. 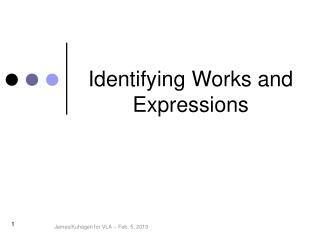 Neal Bhamre Principal Analyst, The Code Works Inc. Sean Shannon Principal Engineer, The Code Works Inc. -How and when to get on the. 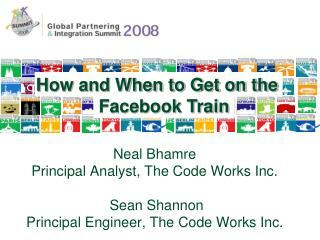 neal bhamre principal analyst, the code works inc. sean shannon principal engineer, the code works inc. .